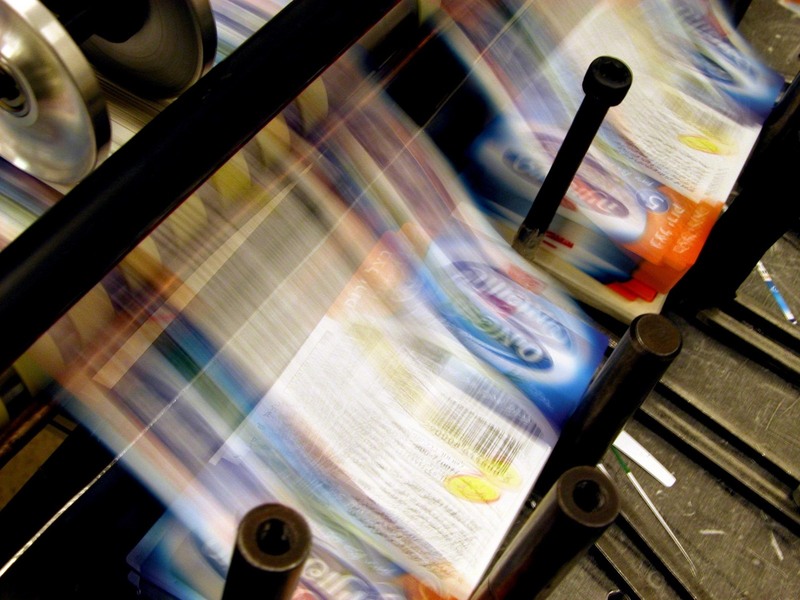 Digital vs. offset printing: Which should you choose? When deciding what method of printing to choose for your projects, there are a number of considerations to take into account. Although Wikipedia lists over 20 different types of printing technology, digital and offset printing are the most commonly used methods. Offset printing is the type of printing that uses metal plates to transfer ink onto paper. Images are transferred to the metal plates through oxidation or through application of a polymer based chemical. Chemical changes due to photosensitivity cause the chemicals to react and produce the images required. Ink is then applied to the plates and printed material is produced by pressing the images into the paper. This style of printing provides the most accurate colour control, and the highest quality. How does that compare to digital printing? By contrast, digital printing transfers an image to the printer, and the image is created by depositing layers of coloured ink on top of the surface (paper, photographic paper, canvas, etc.) and then heated with a toner or UV curing process. Digital printing is very much like the printer you have a home – you send it a file and it prints it. In a printing house, the larger machines deliver far higher quality than your desktop printer, and have a greater range of capabilities. Originally digital printers were created to produce proofs for offset printers, however, customers soon realized that the quality of the proofs was high enough to be used for everyday purposes, and at a fraction of the cost, and hence, the digital copy industry was born. These days almost anything can be produced by using either offset or digital machines, so it comes down to the client’s specific requirements. First, there is the matter of budget – how much are you planning to spend? Secondly, how quickly do you need your job done? And finally, does your print material require high quality processing? Not sure which method to use for your project? Give us a call, and we’ll work with you to understand your needs and make recommendations based on your specific requirements.